Here we are a again the start of a new month, is it officially the start of Summer??! I was playing host/tour guide for the first week of June for one of my good friend's who visited me from London, plus hubby and I ventured out on the weekends at the start of the month so I managed to snap some photo's along the way! Here it is My Top 6 Instagram pics for June! This was one of the places I took my friend when she came to visit, Batu Caves. 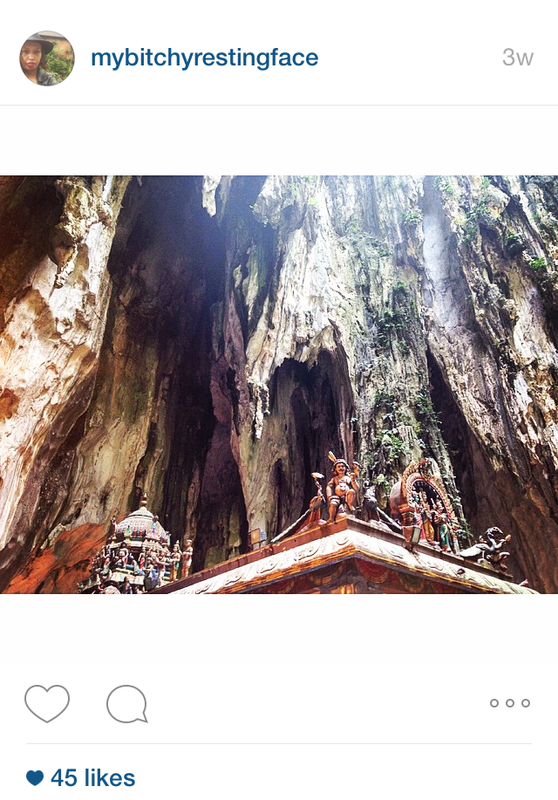 I did write a blog post recently on My Top 5 Places to See in Kuala Lumpur which features Batu caves. It was sooooo hot that day we visited Batu Caves and even more hot when we were in the caves. I took this photo inside the cave and you can see the statues sitting on the roof top, of one of the temples looking down on us. It is a must see if you ever visit Kuala Lumpur, just make sure you carry a bottle of water when you go! 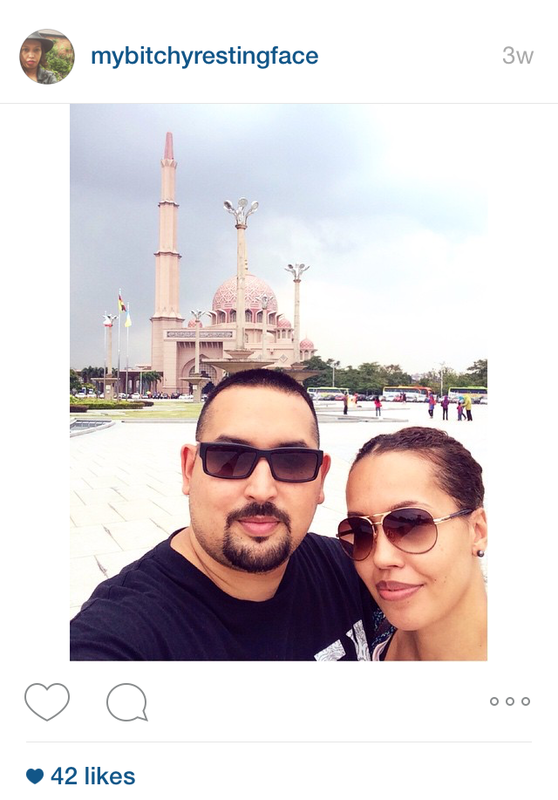 Hubby and I capturing a moment on a overcast afternoon in Putrajaya, with the famous pink Mosque in the background! Another photo taken in Putrajaya. Here I posted this photo promoting a blog post I wrote on our Saturday Afternoon in Putrajaya! Even though it is a fairly newish City, you can still appreciate the beautiful architecture going around the town. 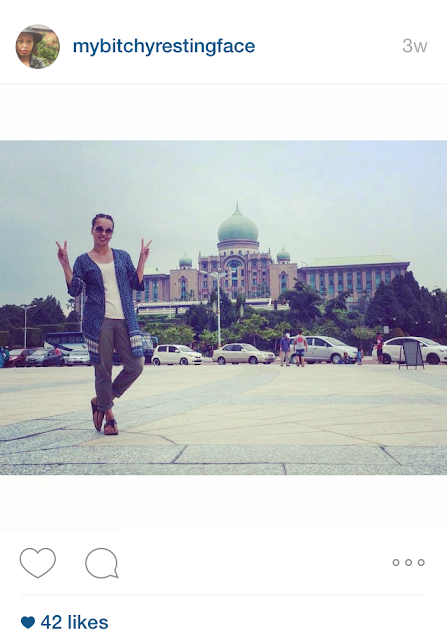 The building behind me is called Perdana Putra which is the office complex for the Prime Minister of Malaysia. 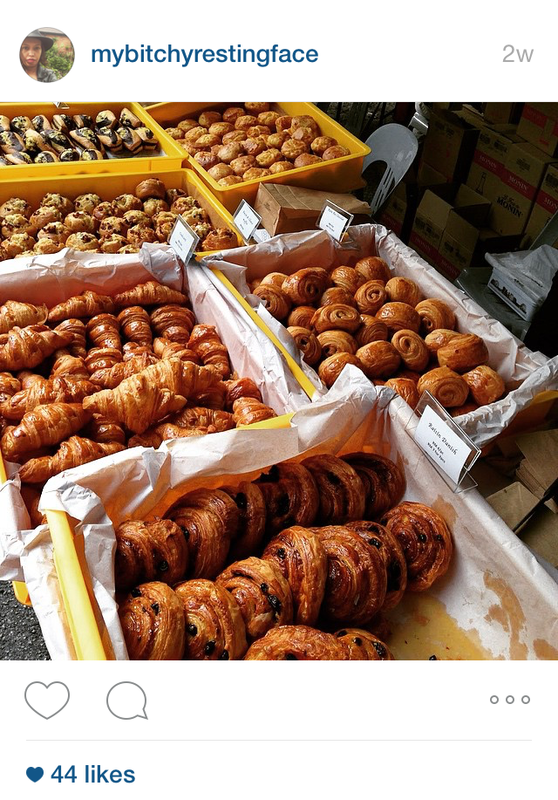 We heard about this French Market taking place on one of the weekends and decided to go check it out. It was nice to enjoy some of what France is best known for.....FOOD! Again, it was a lovely day out and a bit out the norm. Click Le Marche de France-Kuala Lumpur if you would like to see more of that day:). My mouth is watering again looking at all those juicy croissants!! This photo was taken at Cafe de Paris, Kuala Lumpur. We come here regularly for coffee (coffee is good here!) and occasionally have something to eat there too. I ordered their Salmon Salad for the first time and it was divine! 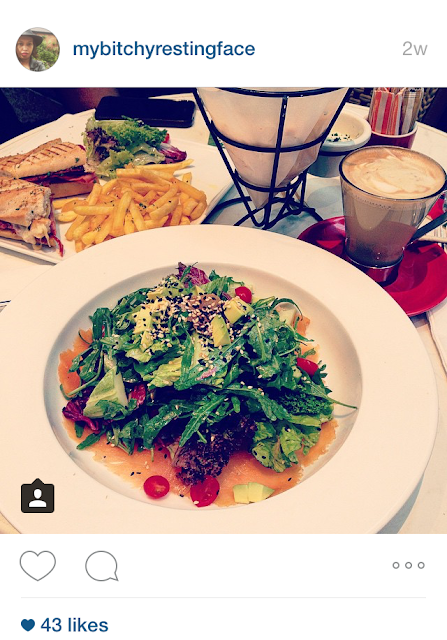 !YUM Cafe de Paris is right in the centre of town and located in Pavilion Mall. I would highly recommend this place Oh and the sandwiches are really scrumptious too! Last but not least, one of my most recent photos.......and again relating to my Blog post!! I write a post every Friday called #fashionfridayfix, where I share with you all my new discoveries of Fashion Bloggers, Designers, Artists...basically anything Fashion related. I like the ethos behind this business and it's contribution's to the local women of Papua New Guinea. 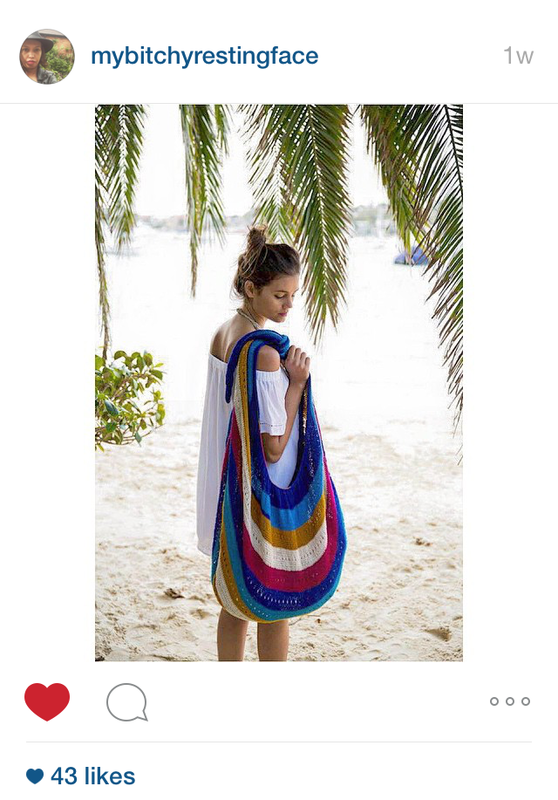 If you would like to know more, please follow the link to my blog post Fashion Friday Fix-Bilum Bilas. This photo is from Bilum Bilas show casing one of their Bilum bags. Hope you liked this post. Did you do something out the norm last month? Visit somewhere you have never been before? Tried a dish you have never had before? Maybe discovered a new coffee shop to go to? Do share, would love to hear from you in the comments below!